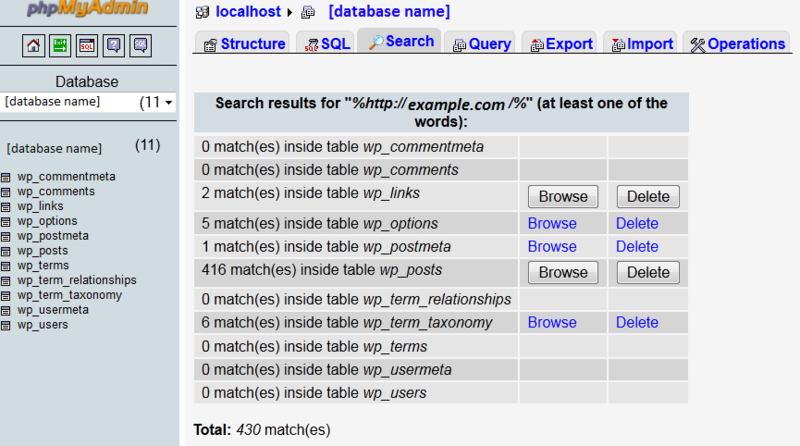 If you have moved your WordPress blog over to Zenutech, have reconfigured wp-config.php to use the new database details, imported your data into the new database, then you might just see is text and hyperlinks with no images. If that is the case, then the problem is likely due to a URL discrepancy between your development URL and the live URL. This is because all the image links and URLs were from your development environment and now that the site is in a different location so WordPress is not finding the images and styles. You can view the page source in your browser, use FireBug in Mozilla FireFox, or view your domain’s error log on the server to obtain the URL of the files not being found (they will give 404 error). The URL that the web server is looking for is the OLD URL that you will be replacing so you want to note what it is.